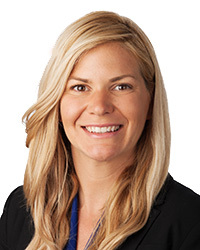 Alyson Cavanaugh is an assistant professor in the Doctor of Physical Therapy program at the University of Saint Augustine for Health Sciences. Her clinical career includes work in pediatrics, adult neurological, acute care, skilled nursing facilities, and orthopedic settings. In addition to providing physical therapy services in the United States, she has international experience providing rehabilitation in emergency relief situations in Haiti and in the Middle East. Her research interests include health services research aimed at improving access to and efficacy of rehabilitation services.